Our CMM Contract inspection services can be used to help measure parts and fixtures of all complexities, types, resolutions and accuracies. 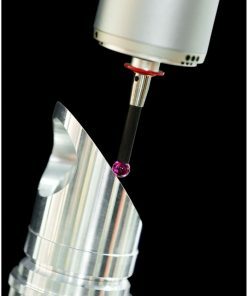 Oftentimes, coordinate measuring machines that are equipped with motorized heads and cmm software are utilized in contract inspection procedures. Organizations that require these services will acquire a certificate of calibration/inspection for every part or fixture calibrated along with pass/fail analysis and pass/fail criteria. Our company has nearly five decades of experience in serving the gaging, inspection and metrology industry. One of the specialty niches we cover is the provision of contract inspection services. When you opt for our services, you can be sure that your parts and fixtures are being worked on by our highly skilled engineers who have many years experience across a broad range of sectors including the medical sector, plastics, aerospace and more. Whether you need simple one-off samples or direct comparison to CAD data, you can be sure that Willrich Precision has the right knowledge and technology to help you fulfill your inspection needs and requirements. If you need assistance with any contract inspection procedures, call us at 866-945-5742 or email us at sales@willrich.com today.